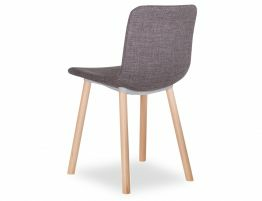 Update your modern dining room furniture or chic kitchen with our Flex modern dining chair. The Flex Dining chair inspired from London based designer Jasper Morrison is an iconic masterwork of modern furniture design. 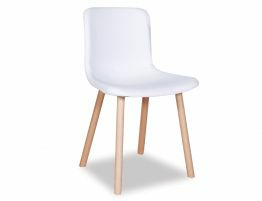 This multi functional chair offers the signature design details that have made this design an enduring modern standard. 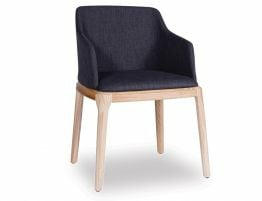 Our Flex Dining Chair - Charcoal Linen Upholstered Seat and your choice of natural or walnut legs. 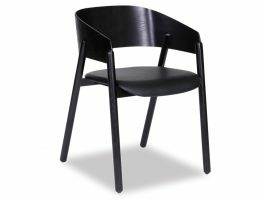 You can coordinate with an existing dining table or mix and match for a more avant-garde look. 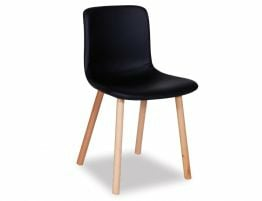 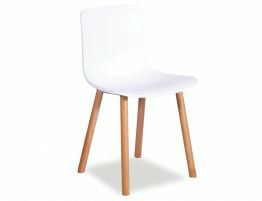 This modern dining chair gives your space a contemporary, designer touch in a lasting, on trend dining chair.